Wedding bells are ringing for a Real Housewives of New Jersey OG! After a whopping 20 engagements, Danielle Staub finally bid farewell to the single life as she married boyfriend Marty Caffrey in a sunset beach wedding in the Bahamas. Not only were close family and friends — including RHONJ co-stars Teresa Giudice, Melissa Gorga and Margaret Josephs — in attendance to watch the 55-year-old walk down the aisle, but Bravo cameras were also there to capture every sweet moment. Read on to get details on the intimate nuptials! 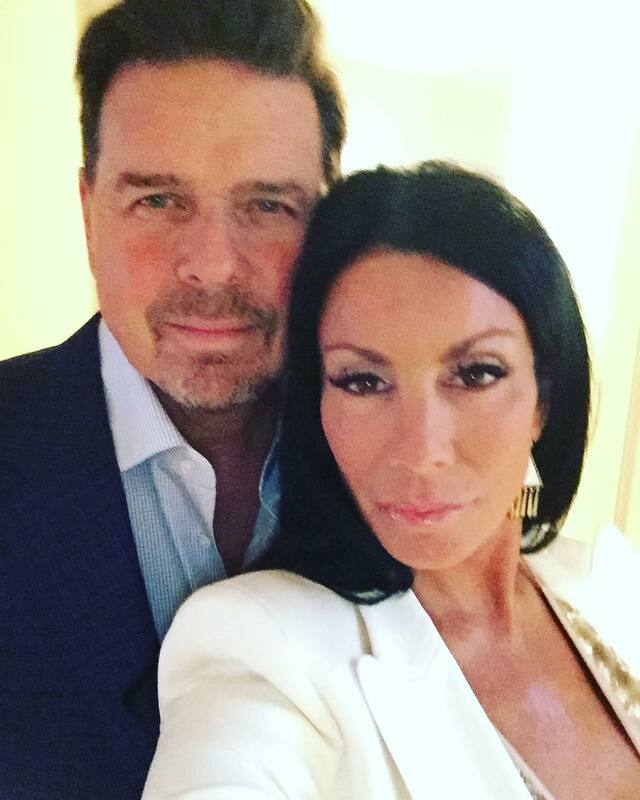 Danielle Staub is officially off the market! The Real Housewives of New Jersey OG married boyfriend Marty Caffrey in an intimate beach wedding on Saturday, May 5. The bohemian-themed nuptials was held on the Bahamas’ North Bimini Island at the Luna Beach Club just as the sun was setting over the horizon. The 55-year-old wore a plunging strapless Pnina Tornai gown and a long white veil for her walk down the aisle. RHONJ co-star Teresa Giudice served as the Maid of Honor, while castmates Melissa Gorga and Margaret Josephs acted as bridesmaids in the wedding party. The trio wore matching pink dresses as they stood at the seaside altar. The bride’s two grown daughters — Christine, 24, and Jillian, 19 — were also present to watch their mother exchange vows, People reported. After a final blessing, guests surprised Danielle and her man by blowing bubbles as they walked to the reception as newly minted wife and husband. Though attendees, including the bride and groom, were all barefoot for the actual ceremony, they all changed into footwear to dance the night away at the following reception. Moments before getting hitched, Danielle told Us Weekly she was a “little nervous” about the nuptials.